Before you can start taking clients in your new VA business, you’ll need to figure out how to get paid! There are quite a few tools to help and systems to use. In this post, I’ll share with you my current system, tools I’ve used in the past, as well as some free options if you don’t have a lot to invest starting out. First, you’ll need to decide how you charge clients for your time. 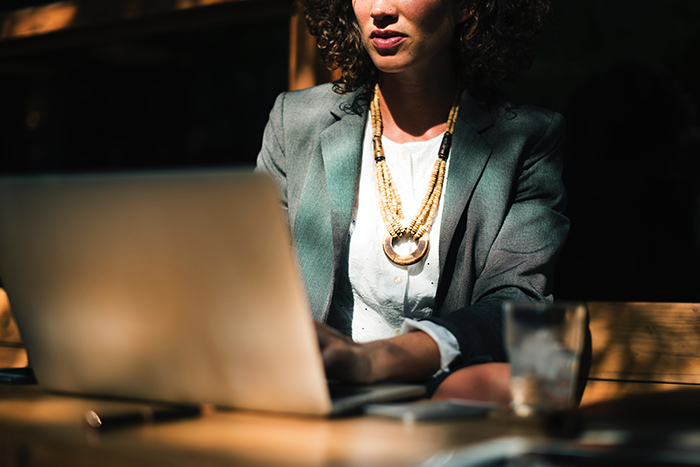 With these types of packages, you’ll come up with a set of deliverables for each week or month and then decide what it will cost for to deliver these services to the client (based on an estimated hours to complete). Then, you’ll charge that flat rate no matter how long it takes you to finish. The benefit to you is that as you improve and get faster, you’ll make the same amount but spend less time on the project. Clients usually love value-based packages because they have a set of expectations and a clear amount to budget for per package. In this model, you’ll have a variety of hourly packages, say 10 hours at a particular rate, then 20 hours at another rate that is slightly less expensive, and on and on. You give the clients a little discount in your hourly rate in exchange for them buying more of your time up front. This is a great system for a client with an ever-changing list of needs and priorities and wants a lot of flexibility. Also, many clients love getting a little discount for purchasing a larger amount of hours upfront. The benefit to you is that you’ll have a certain amount of money/work guaranteed. Just set clear boundaries on when the hourly packages run out. Just set clear boundaries on when the hourly packages run out. This is sort of a hybrid of both of the above models. You and your client decide how many hours they’ll need you each month and you charge them for these hours whether they use them all or not. If they regularly go over, you charge them an overage fee. The benefits to the client with this model is that they get to make sure that you’re holding that amount of time for them each month, so they don’t lose you to another client during slower months, and they have a regular, set amount of money they can budget for your services each month. You can also set an hourly rate and bill as you go, just like you might at a job. I do offer this occasionally to long-term, reliable clients who have a lot of different needs in their business and who prefer to pay every two weeks, more like an employer would. I DO NOT recommend you start out with this unless you know the potential client well. You could find yourself in a position where you’ve done several weeks of work and don’t get paid. However you decide to charge, you’ll need to track your time. Yes, even in value-based packages and in retainer models. This is because you want to know how long every project is taking you, if you estimated correctly, or if you’ve sold yourself short and you’re going way over your estimated hours and need to renegotiate with your client. 17Hats is much more than a time-tracker but wanted to mention here as it does have a time-tracker built into it, along with many other functions. Toggl has a few tiers of their pricing, from “Basic” (free) all the way up to “Enterprise” ($49/mo). The free tool is really all you need to get started tracking your time for client projects. Paymo is another option with a great free plan for solopreneurs/freelancers. The basic free plan is probably the best plan if you’re a one person show, but Paymo also has a business account option for $15.16 a month with unlimited team members. If you love spreadsheets and want to keep it super simple, you could also create a spreadsheet and track your time that way! You’ll also need to send your clients invoices regularly because obviously, you need your money! Here are a few options to help you get started there. As I mentioned above, this is tool has quite a few features beyond time-tracking. It is a very slick way to send professional looking invoices and offers options for your clients to pay via Paypal, Stripe, and I believe even by credit card. You can add in a flat rate or invoice directly from time tracked within the system. It will also show you when the invoice has been viewed plus you can easily send friendly reminders. I’ve never used the invoicing feature on Paymo, but it also has flat rate and time-based billing features as well as the ability to send estimates. Paymo also accepts Paypal, Stripe, and other payment methods. Paypal has invoice templates from within its business accounts as well. If you want to keep it super simple, this is a great way to send out your invoices, especially when you’re first getting started. The invoices don’t look as shiny as some of the others but they get the job done. I use 17Hats to take care of my bookkeeping, invoicing, and time tracking. I love having everything in one place. That being said, starting out I just sent simple Paypal invoices, and I tracked my time using the (now defunct) free version of Paymo. I think the closest thing to that version of Paymo is Toggl since it is free and works great. 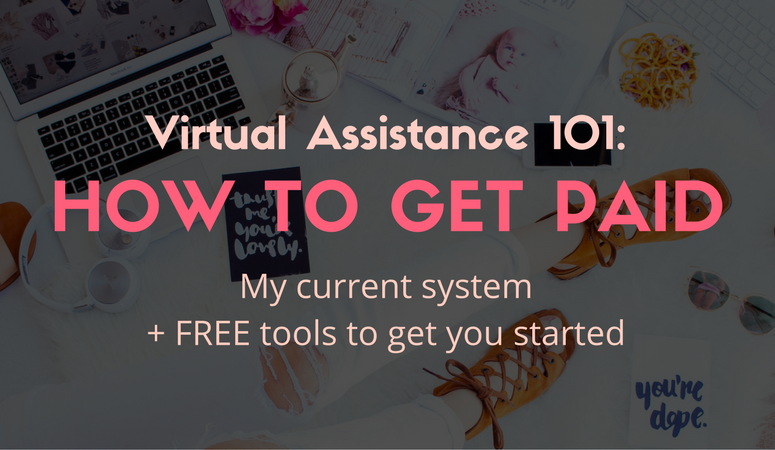 These are the basics on how to get paid in your virtual assistance business. Once you pick out the way you want to structure your billing, a time tracker, and a way to send invoices, you’re ready to start charging for your work. Hooray! So, what system do you think works best? What do you think is the best way to charge for your VA services? I’d love to hear your tools and methods in the comments!! *I sometimes link to books, tools, and other things that I adore and may receive a small commission for it. Read my full disclosure here. How to Make Over $90,000+ a MONTH with Affiliate Marketing! Sign up to my newsletter to get a weekly dose of business love, freebies, and fresh posts right to your inbox! Join me for a weekly dose of business love!